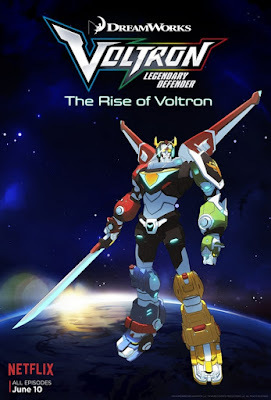 DreamWorks Voltron Legendary Defender is now available to stream on Netflix! Synopsis: The Netflix original series DreamWorks Voltron Legendary Defender reimagines one of the most popular fan-favorite shows of all time in this all-new comedic action-packed show from executive producer Joaquim Dos Santos (The Legend of Korra, Avatar: The Last Airbender) and co-executive producer Lauren Montgomery (The Legend of Korra). "One Unite, One Goal" clip.